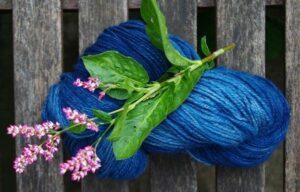 Indigo Dyeing Class - From Seed to Dye - Land O' Lakes Area Artisans, Inc. 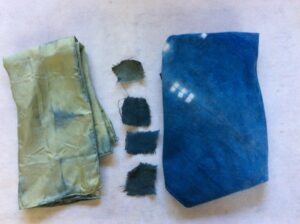 Learn the process of indigo dyeing with Debbie Jircik! 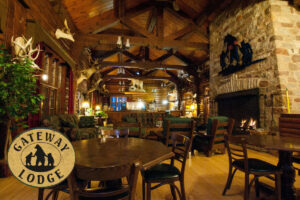 All materials supplied. No experience necessary. Students should bring a bag lunch to class. Dress for wet mess and please bring an apron or smock. Learn about the magic of indigo, its plant sources and how to make and maintain a 1-2-3 fermentation vat. 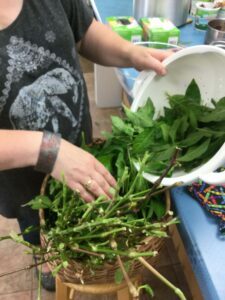 Learn about the process of growing Japanese indigo, which will grow in our northern climate, and how to process fresh leaves for dyeing on silk. We will then create an organic vat with powdered indigo sourced from Stony Creek Colors in Tennessee to do simple shibori resist techniques on an organic cotton bandanna. Students will leave class with a 2-inch potted indigo plant to try growing it for yourself, just in time for the beginning of the growing season. Debbie Jircik – Eagle River artist/hand papermaker and student of natural dyes. She has spent the past six years learning about growing and dyeing with indigo. No refunds will be given after the deadline date. Parking is available behind the LOLA Center for the Arts building.